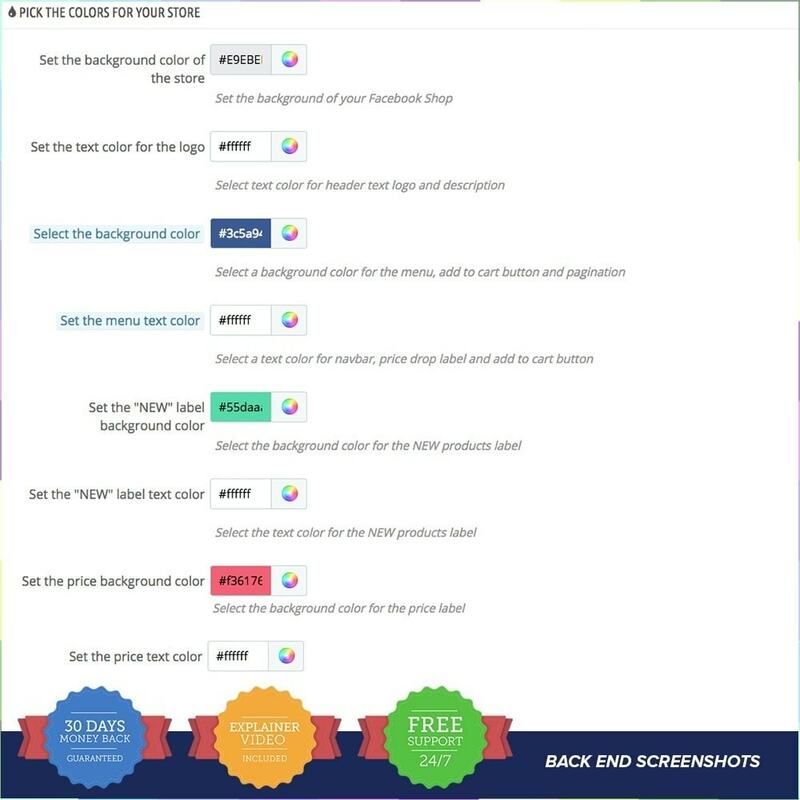 Social Network Shop PRO module is the best way to create own PrestaShop store on Facebook. 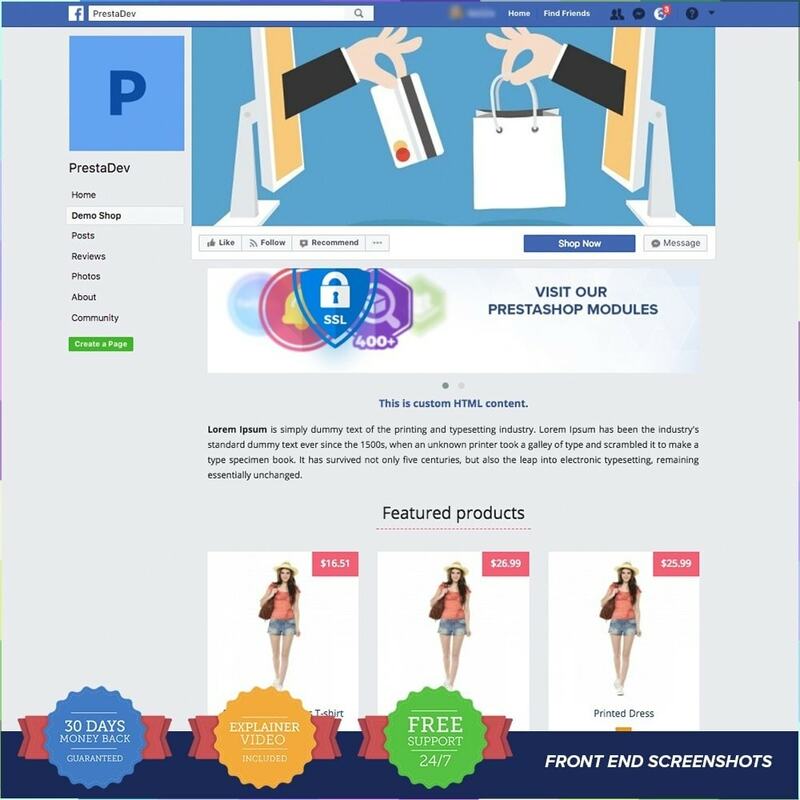 You can integrate your store's Facebook page with your PrestaShop online store. 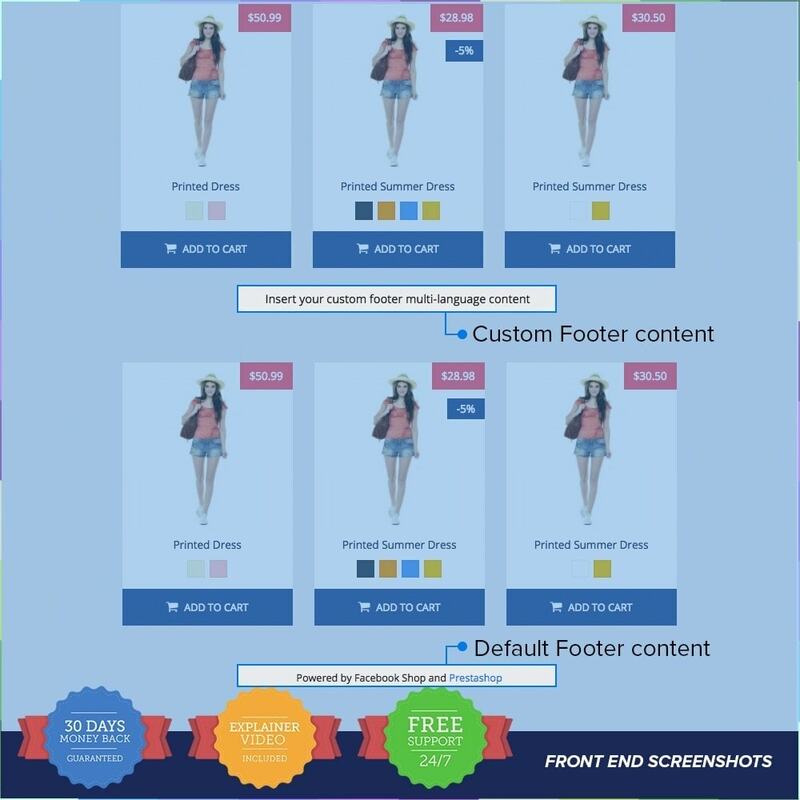 Social Network Shop PRO module gives you the possibility of showing your products directly on Facebook, by creating your own shop tab that yow can configure according to your needs. 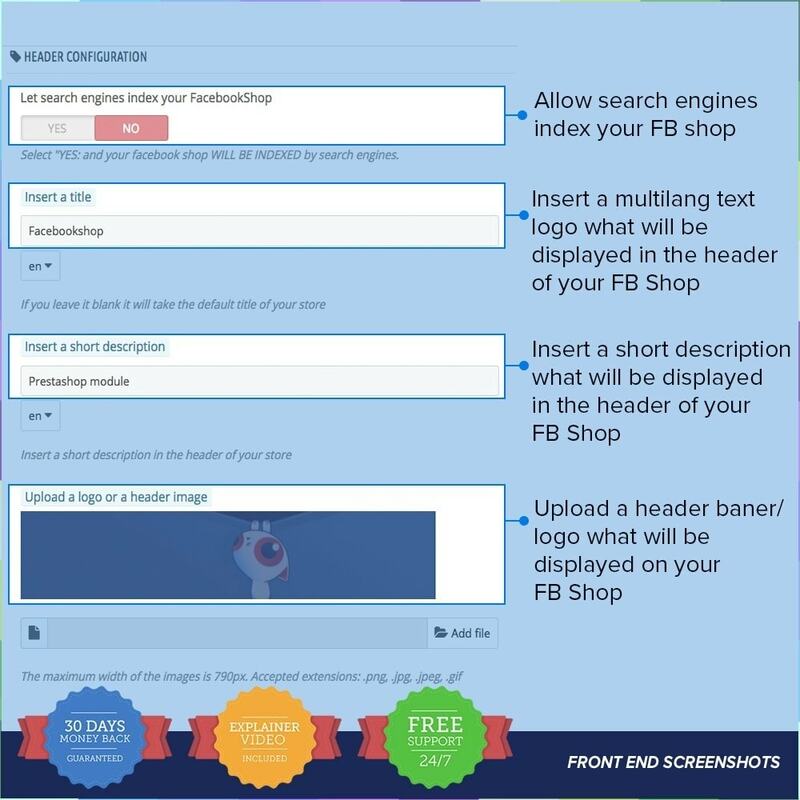 This is a great way to increase the number of visitors on your shop and of course boost your sales by using the power of the Facebook community. The first facebook live chat system is bringing all the necessary features you need to chat with your customer. 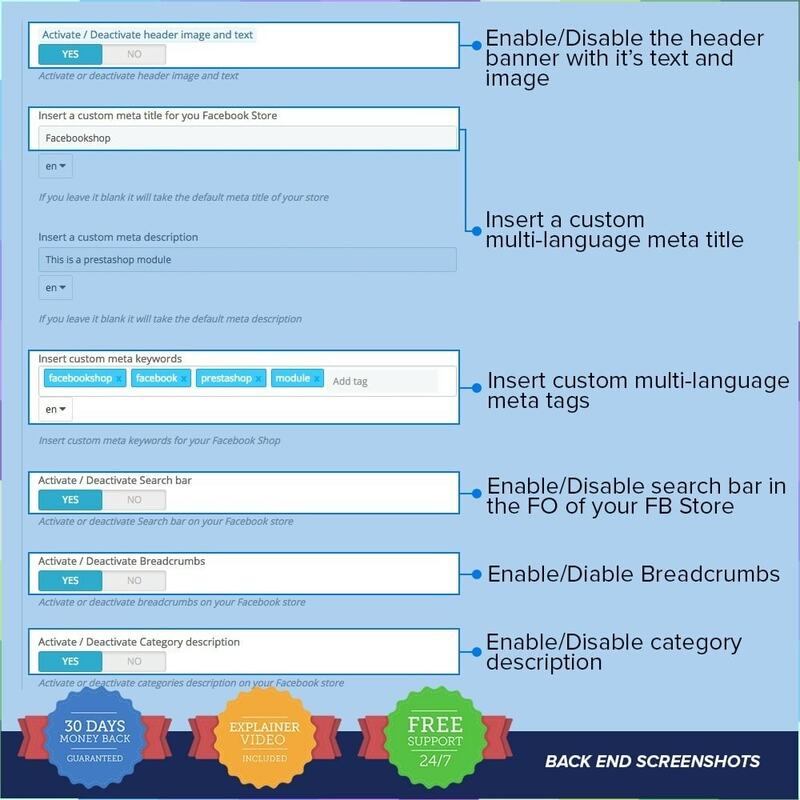 Most social network chat to keep your customers onto your website while they chat to you. Works both from Mobile and Desktop. 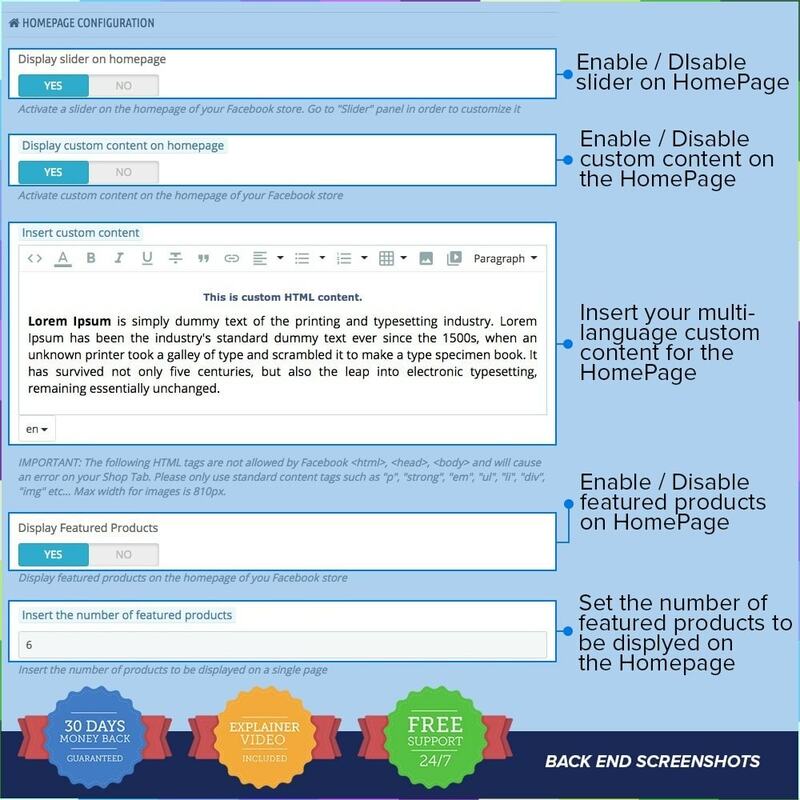 Social Wall Post PRO module helps you automatically post information about your products, stocks, categories and brands on your Facebook page. 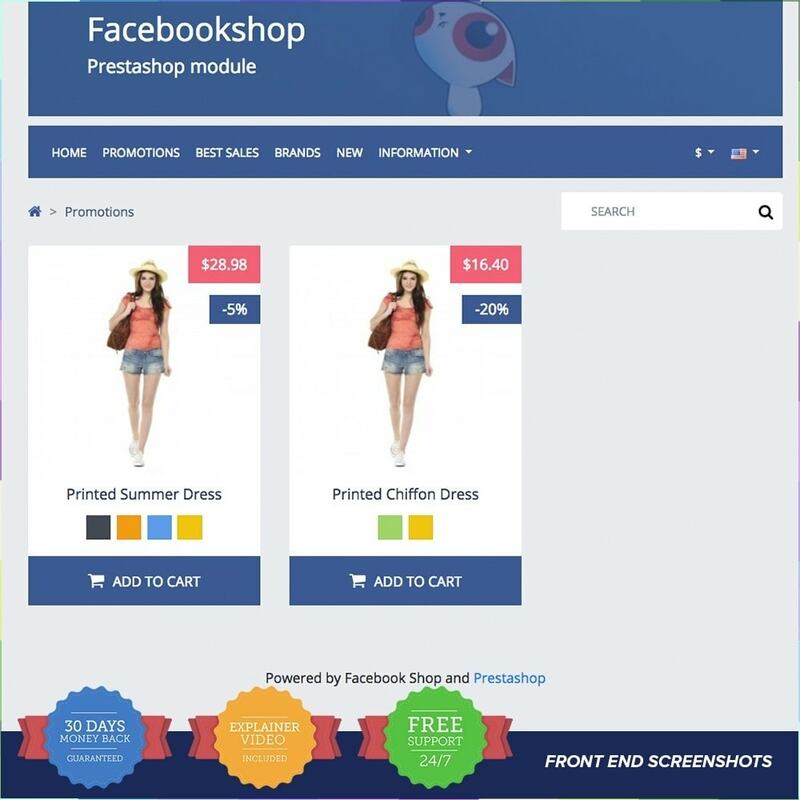 We are a Prestashop premium certified agency will help you if there are any problems with our module. We’re a Prestashop certified premium agency,so we will offer you fast and quality support. If you are having problems with our Prestashop module, please contact us. In this page, browse to “INFORMATIONS” and you’ll find a link to contact developers, click on it and send us your questions. ✔ Are you having problems with the installation? If the module advices you about override conflicts, please tell us and we’ll merge them for you. Contact us and we’ll solve the problem. ✔ Help while installing and configuring: if you’re having doubts installing or configuring our module, contact us and our team will help you for free. 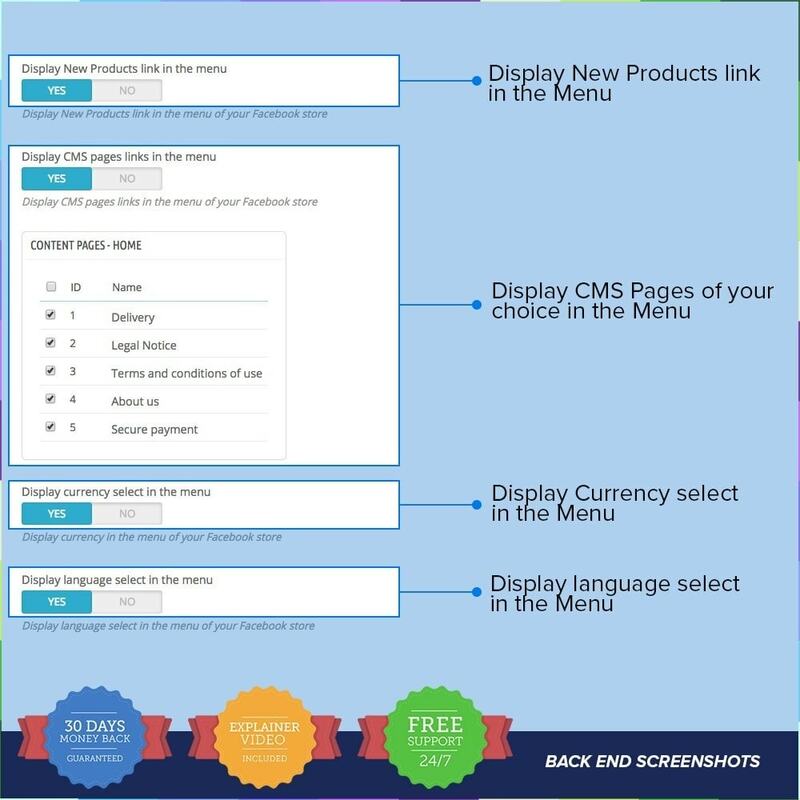 ✔ Updates: Our modules are always up to date in order to guarantee that the work correctly with every Prestashop version. We need your comments and evaluation! Your evaluation is very important for us. If our products and services have been useful for you, please give us five stars. Five stars will help us to keep on working with the same energy and adding new functions to our modules. 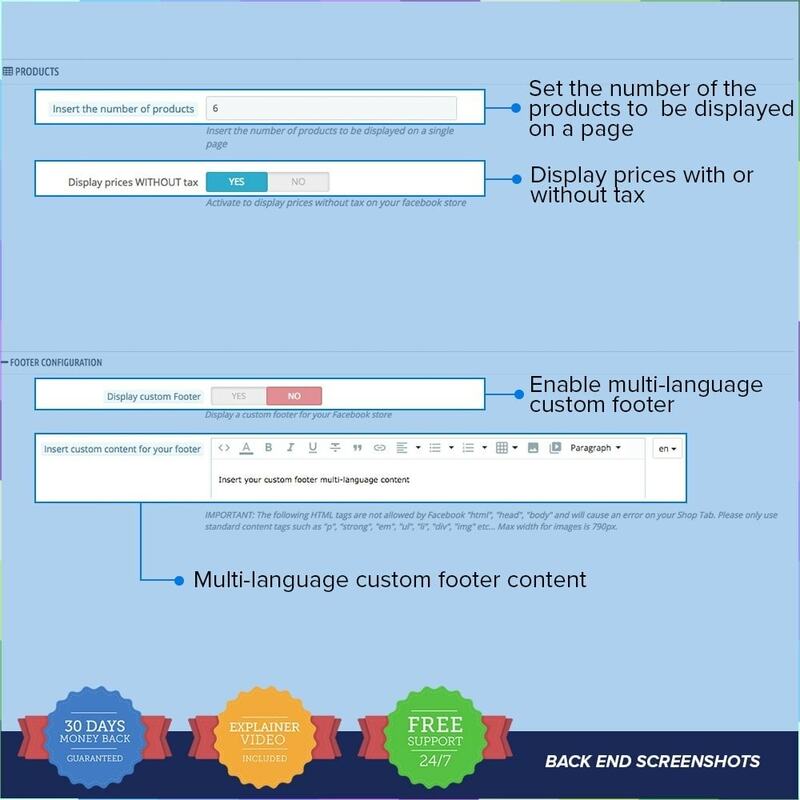 Your facebook community will be pleased to be informed about your products, offers and to be able to purchase your products directly from your Facebook page, most of your store’s traffic is based on. 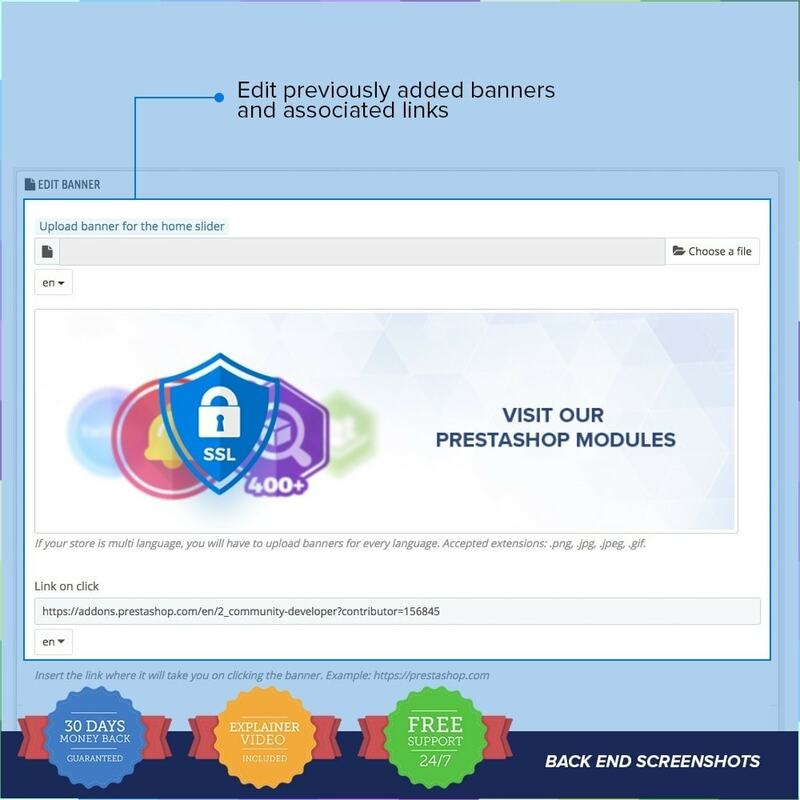 The module installation is according to PrestaShop's default behavior. 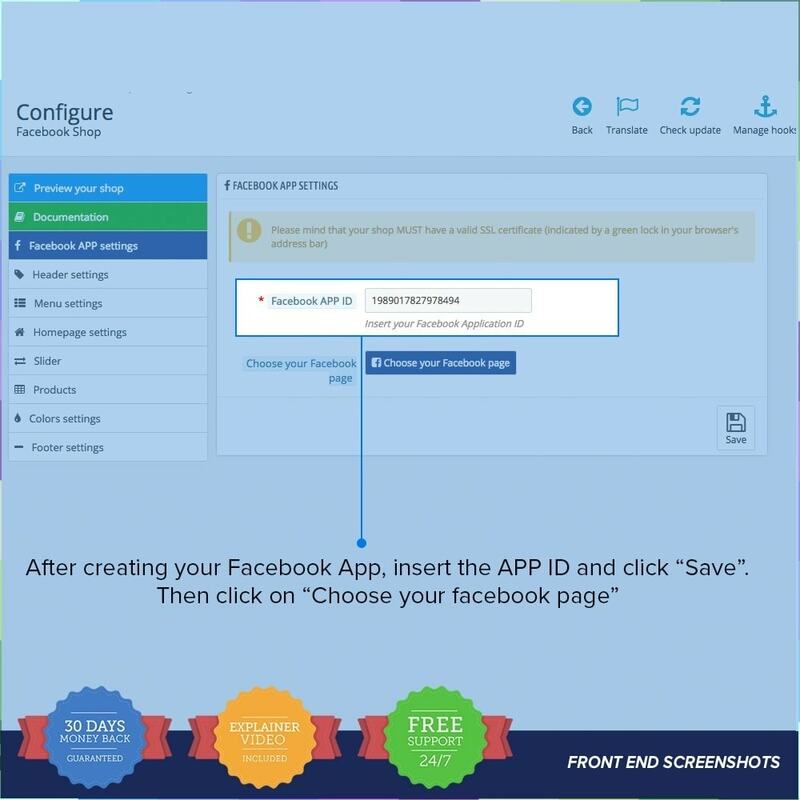 This module needs you to create a Facebook app - you have step by step instruction about how to do this in the documentation section of the module. 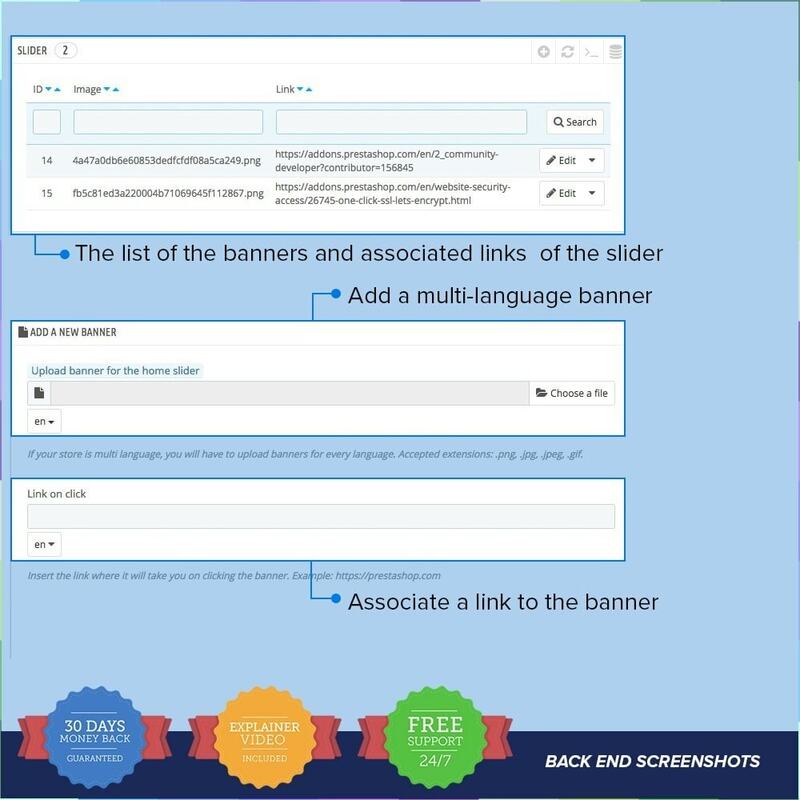 This module adds an Info Box on your site, advising your customers about the GDPR. It also asks your visitors to give their consent when submitting personal information on your website. Meets all the General Data Protection Regulation requirements. The first affiliates module is bringing all the necessary features you need to develop affiliate marketing. 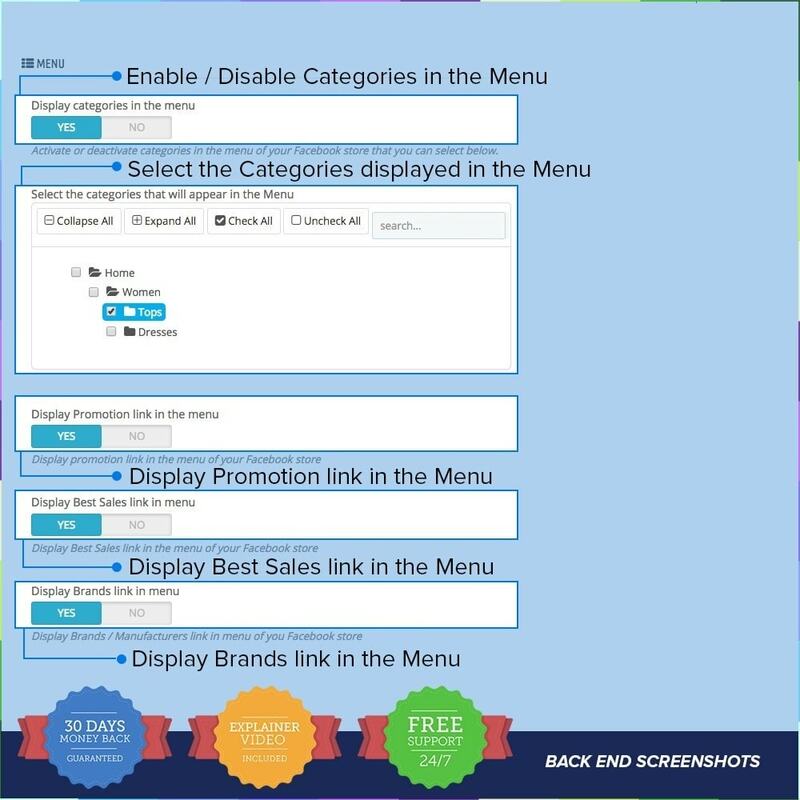 Most complex affiliate utility so you don't need to buy more than 1 module. Have your HTTPS website in just a few seconds. Zero costs for certificate. Just install One Click SSL and that's it!